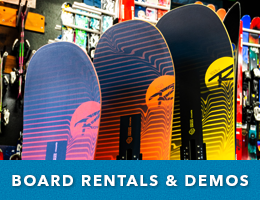 Phil's offers a wide range of new 2019 demo skis from Armada, K2, Liberty and Rossignol. Come try a pair before you buy! Snowboards have changed a lot over the last few years, and our large rental/demo fleet will be sure to get you on the perfect board. Our leasing program is the most cost-effective and efficient way to get your children and teens out on the slopes year after year. 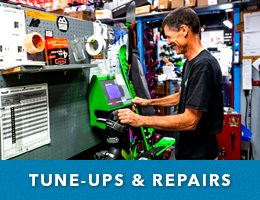 Whether it's a major repair or just a fresh iron wax, Phil’s has the tools and expertise to get your gear looking and riding like new. Phil’s Ski & Snowboard is your one-stop-shop for all things ski and snowboard. 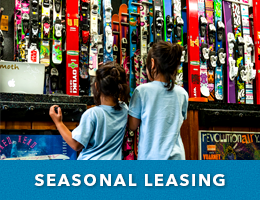 Whether it’s seasonal leasing for kids, professional tuning and repairs, daily rentals and demos or the very best retail selection for skis, snowboards, bindings, gloves and accessories, Phil’s is the place. We’re Orange County’s last remaining old-school ski and board shop. Why buy online?! Cruise into the shop, flex that ski you’ve been interested in buying, and we’ll be stoked to get you on the proper skis/board that’s just right for you! 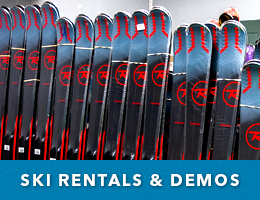 We specialize in ski and snowboard seasonal leases, rentals, demos, repairs and sales! Here at Phil’s, we have over 34-years of industry knowledge and experience, making us the last remaining old-school ski and snowboard shop in Orange County, California. We recently revamped our tuning facility, bringing in the best Wintersteiger machinery in the industry. We now have stone grinders, base repair machines, ceramic edgers and the know-how to give you the best service possible.